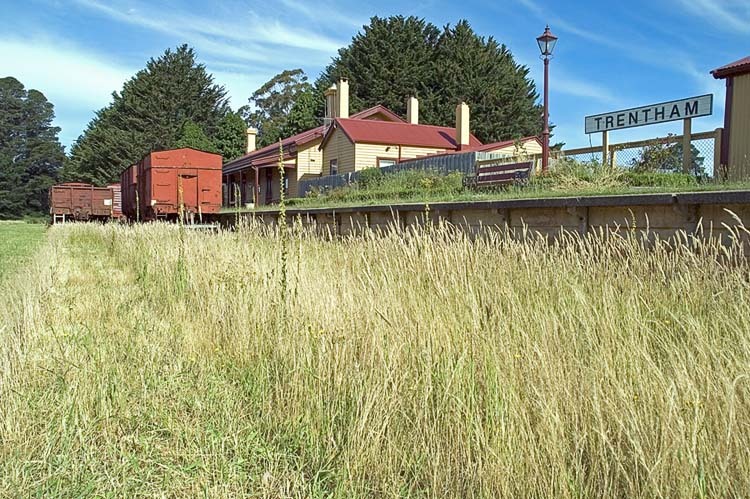 The railway station at Trentham, Victoria, looks like it’s been a while since it last saw activity. Great angle on this shot. It really feels like summer! great pic – I’m using it as a desktop now, and think I will for a long time to come.